Michael Campbell, a.k.a. 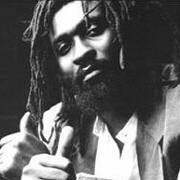 Mikey Dread was an influential performer and innovator of reggae music. Mikey's avid interest in reggae music led him to acquire an immense collection of crucial vinyl. He used this to gain notoriety as a young DJ and audio engineer with the Jamaica Broadcasting Corporation (JBC), where he began his broadcasting career in 1976. There he developed his own unique broadcasting style, and his radio show, Dread At The Controls, became firmly established as the number one radio show on the island. Mikey was awarded Top Radio Personality of the Year in 1977-1978. Bizarrely this was one of the few Jamaican shows to feature roots reggae, as the rest were obsessed by US soul and pop of any quality. This insistence on "the real deal" both put him at odds with his establishment employers and created in him a roots legend. In 1979, having resigned from JBC, Mikey decided to expand his career by getting more involved in the actual production of not only his own music, but also the work of others such as Sugar Minott, Junior Murvin, Earl Sixteen, Wally Bucker, Sunshine, Jah Grundy and Rod Taylor. Mikey also worked with, and cut great sides for, Lee Perry, Carlton Patterson, King Tubby and Sonia Pottinger before launching his own DATC label and coming to the UK. His activities attracted the attention of The Clash, who asked Mikey to record and tour with them. They produced "Bank Robber" and the album "Black Market Clash", a brilliant fusion of late 1970s punk rock and a heavy reggae bass and drum line, which sold over 3 million copies. His work with The Clash was a significant event in the integration of reggae into popular music throughout the world. The reggae aspect of the album distinguished their sound from the other punks that emerged in the 1970s. Soon after, it was a must for just about every punk band to have a reggae cover song on their album. During his time in the UK in the early 1980s, touring with The Clash and UB40, Mikey encountered Adrian Sherwood - also being associated with The Clash's touring shows of the time. Several visits to Adrian's On-U Sound studios followed together with the laying down of three memorable vocals for the Singers And Players, two of which were about his past life - "Autobiography (Of The Dread Operator)" [Rhythm 36] and "School Days" [Rhythm 27]. Both rhythms went on to be completely re-vocaled at On-U by his friend Congo Ashanti Roy as "Breaking Down The Pressure" and "African Blood", respectively. The third was called "Vegetable Matter".